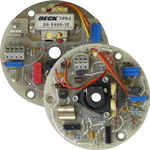 Because Beck drives are constructed with no-burnout motors, sealed electronics and powerful gear trains, they require no periodic maintenance. In the event that a problem does occur, you can refer to detailed instruction manuals, available in the technical library complete with troubleshooting guides, to determine the corrective procedure. This, combined with free on-call phone assistance at 215-968-4600 from expert application engineers and sales engineers, will resolve almost any problem and will get you back online quickly. To aid your troubleshooting efforts, Beck provides valuable information on the website. Obtaining the serial number and manufacture date code from the actuator nameplate will allow you to run the serial number lookup tool. The report provided from that lookup will provide voltage, torque, timing, and other information specific to your actuator. In many cases it will also allow you to download a wiring diagram (a copy of the wiring diagram should be affixed to the underside of your terminal cover if it is not available from the site). 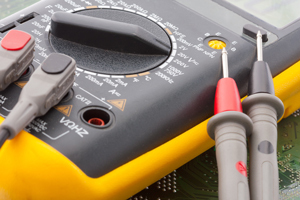 It is helpful to have the following materials collected prior to troubleshooting efforts: a Beck instruction manual, a wiring diagram, basic tools including wrenches and screwdrivers, a multimeter, a 4-20mA signal generator, pen/pencil, and paper. The documents listed here may be used in conjunction with the appropriate instruction manuals for troubleshooting Control Option 9 actuators utilizing a DCM-2 digital electronics control board (Beck part number 22-5012-59) and CPS-2 position board (Beck part number 20-3400-09). Many of the troubleshooting concepts in these documents may be applied to control option 9, Group 14, Group 29, and Group 42 actuators as they use the same electronics. The documents listed here may be used in conjunction with the appropriate instruction manuals for troubleshooting Control Option 8 actuators utilizing a ESR-4 analog electronics control board (Beck part number 13-2245-03) and CPS-2 position/feedback board (Beck part number 20-3400-12). 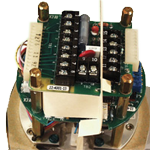 Many of the troubleshooting concepts in these documents may be applied to control option 8, Group 14 actuators as they use the same electronics. The documents listed here may be used in conjunction with the appropriate instruction manuals for troubleshooting Control Option 9, Group 22 actuators utilizing a DCM-2 digital electronics control board (Beck part number 12-8224-41, 12-8224-45, 12-8224-51, or 12-8224-55) and CPS-4 position board (Beck part number 23-2500-01). The documents listed here may be used in conjunction with the appropriate instruction manuals for troubleshooting Group 31 actuators. 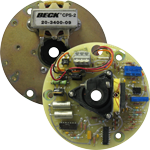 The documents listed here may be used in conjunction with the appropriate instruction manuals for troubleshooting Control Option 9 actuators utilizing a DCM-2 digital electronics control board (Beck part number 22-5012-59) and CPS-2 position board (Beck part number 20-3400-09). Many of the troubleshooting concepts in these documents may be applied to control option 9, Group 11, Group 29, and Group 42 actuators as they use the same electronics.